For those who preserve the history of this nation even though I find war barbaric and generally stupid. But, humans. And I probably abhor it so because I was a warrior in a previous life. The hubster enjoyed Fort Necessity. 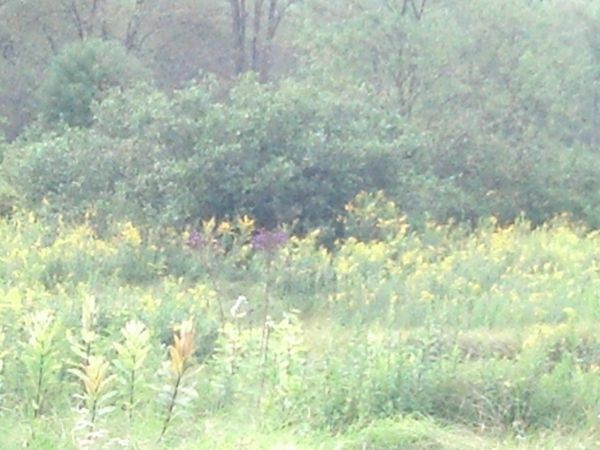 I saw a purple flower in the meadow by the fort and thought, "I wonder which soldier that is?" Creepy field of death - oh yes, in my element. This entry was originally posted at http://pj.dreamwidth.org/397543.html. Please comment here or there there using your LJ ID or OpenID. You should have used the voice recorder on your phone, asked if anyone was there, and tried to get an EVP. Residual energy will answer one way...active energy will answer in another. EVP = electronic voice phenomenon. More than one someone was there, this one that caught my eye first. Random tall purple flowers in different spots of the land. Two who were obvious to me.